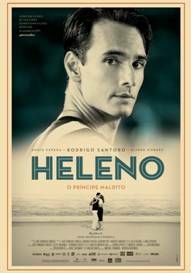 A biography of the tragic life of one of Brazil’s greatest soccer players, Heleno de Freitas, starring Rodrigo Santoro, one of Brazil’s most talented and famous actors. Santoro was Raul Castro, in Steve Soderbergh’s CHE, was also in LION’S DEN by Pablo Trapero and starred in NOT BY CHANCE (DFS 7/18/2009). He was in other major films such as, “I Love You Phillip Morris” with Jim Carrey and Ewan McGregor, ‘300’ as Xerces, Fox Searchlights’ ‘The Post Grad Survival Guide’ with Michael Keaton and Carol Burnett, and the Emmy award-winning LOST. HELENO also stars Angie Cepeda, one of Colombian’s well known actresses.